The Yamaha B1 is the most budget-friendly upright in the Yamaha B Series. This is a budget-friendly upright with a clear, rich sound and responsive action. The B1 is Perfect for beginning piano players or for those looking for an inexpensive piano. MSRP: Starting from $4,799 On Sale! Contact us for Pricing! The Yamaha B1 is the most budget-friendly upright in the Yamaha B Series. Although it has a smaller frame and savings in production prices, the B1 still contains the quality and workmanship expected of the prestigious Yamaha pianos. The B1 upright is an affordable, entry-level vertical piano. This piano is 43″ tall and has high-grade hammers and proven action design to offer a beautiful sound and a highly responsive touch. 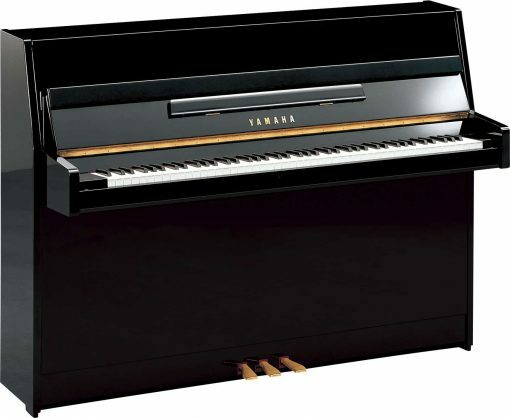 The Yamaha B1 upright piano is a great option for budget-conscious beginner players.